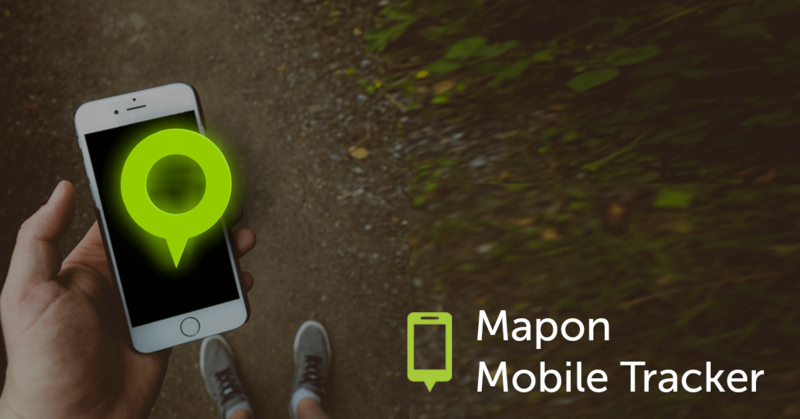 Mapon mobile tracker is a convenient solution that allows you to use basic GPS tracking and Mapon system features without the need to buy additional tracking devices. It is a perfect solution for families and also for businesses who need to solve specific problems. 2) Follow your friends and family members location during their hiking trips or competitions. 3) See whether your kid has visited hobby class or went to friends instead. Receive notifications when your kids arrive or leave school or other territory specified by you. 1) Review your family members’ driven routes and driving speed; especially useful when you are lending your car or motorcycle. 2) Analyze your own and your family member routes and speed chart to understand driving behavior and fuel consumption better. 3) Companies are using Mapon mobile trackers as a cheaper alternative to professional trackers, to follow their employees’ route history and speed charts. This is extremely useful in cases where the company is compensating their employees who drive to business meetings or other business related trips with their private car. We have worked together with Mapon for already two years, and I am confident that thanks to Mapon solution – the event has become safer for our participating ladies. With the help of Mapon GPS system and Mapon mobile trackers, we can follow and control participant speed as well as see their route history and current location. That is very useful for our referees, and we can also jump in and help our participants if they go astray. Mapon support team is very friendly and understanding and helps to solve any problems that arise during the event right away. You can also set custom territories – so-called geofences – in our system and receive alerts when your friend or family member arrive or leave the territory with the mobile tracker. For example, receive a notification if your friend leaves the city with the car you lent him; or receive notification when your kid is close to home. Apart from geofences and movement notifications; you can also create specific notifications that are sent out whenever a mobile tracker is over-speeding (you can set your own speed limits in the system). What is more – you can access Mapon system also from a mobile phone while you are on the go and use all system features while you’re on the go as well. Register for your free trial here (no credit card data needed). Log into the system and go to “Settings” tab. 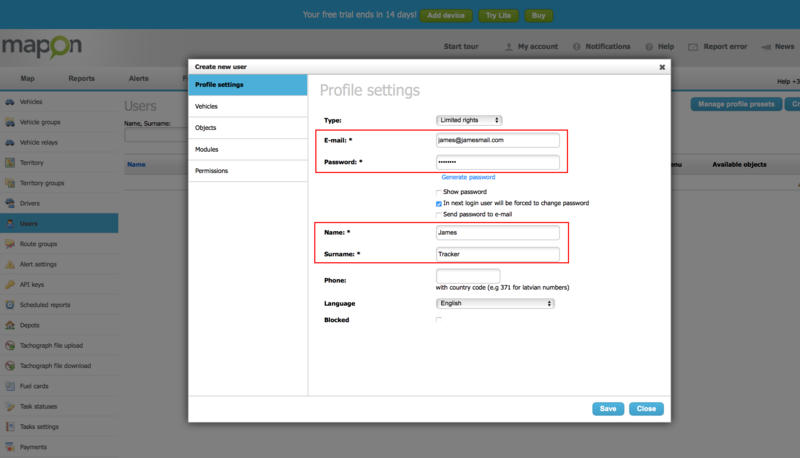 Choose “Users” section on the left side and click “Create new user” in the right corner. Fill in the information, click “Save”. You will be asked to specify usage rights – allow all the options you want and click “Save” to finish creating a new user. After creating an account, you can go back to the “Map” section. There you will see your newly added user. 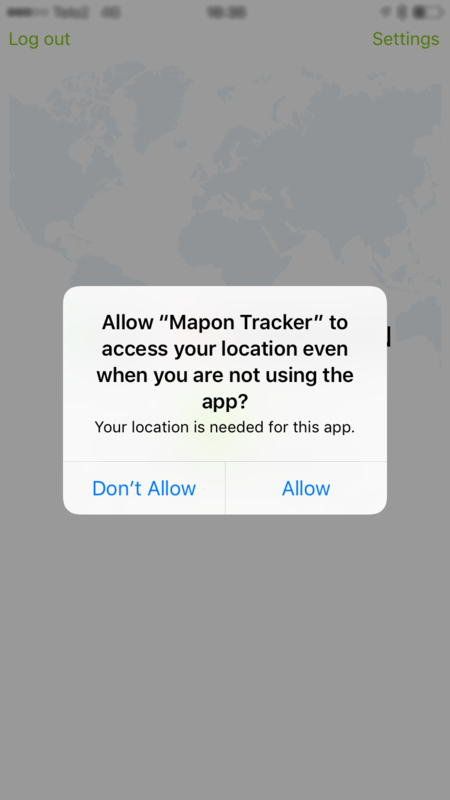 However, it will not be active and shown on the map – that’s because that user hasn’t logged into the Mapon Mobile Tracker app. To do that – first, you need to download the application. Open Google Play Store or Appstore and search for “Mapon mobile tracker” (or visit these links for Android / iOS). Don’t mix up both applications by Mapon that will show up. Mapon application is the one used to access system and its functionalities via mobile phone. 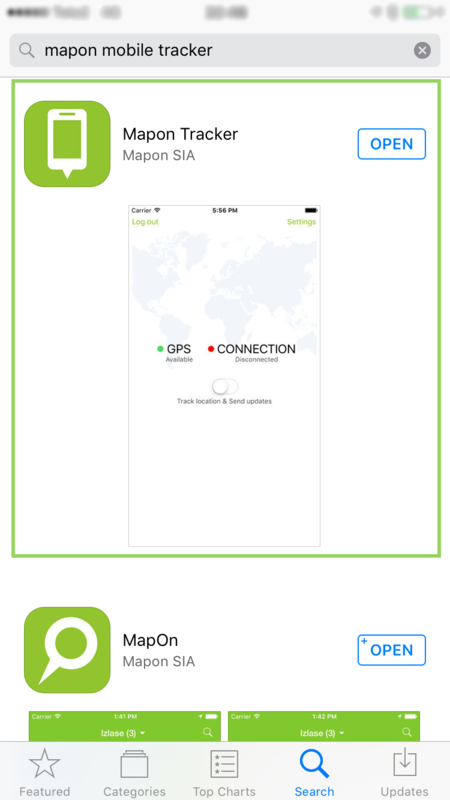 Mapon Tracker (Name on Appstore) or Mapon Mobile Tracker (Name on Google Play Store) is the application that turns your phone into a GPS tracker and is the application you need to download. Open the app, sign in using your newly created account credentials and allow the application to access your location. 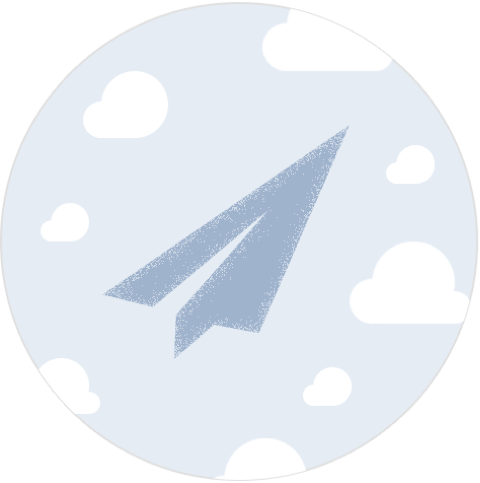 You will land at a simple status page that shows the status of the application – click on the switch to enable GPS tracking regime. 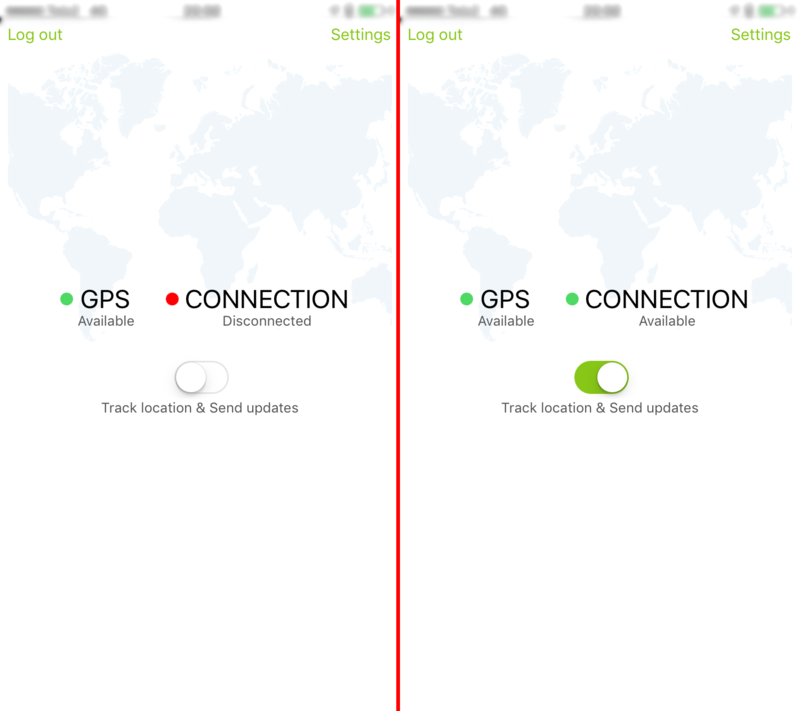 If both buttons are green – the application is working correctly, and the phone functions as a GPS tracker and is successfully sending over data to the Mapon system. That’s it – You are ready to track anything with Your phone acting as a GPS tracking device.